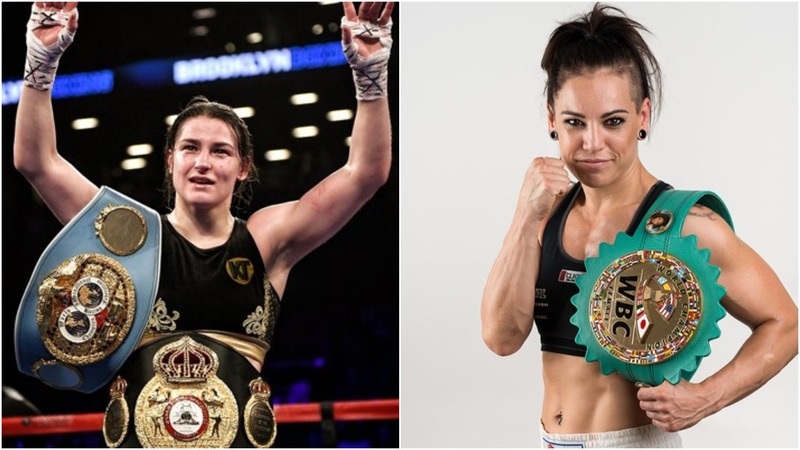 Irelands Katie Taylor will defend her IBF and WBA World Lightweight titles against former amateur rival and current WBC World super-featherweight champion, Eva Wahlstrom at Madison Square Garden on December 15th – the bout featuring on the Canelo Alvarez. VS. Rocky Fielding undercard. Five-time world champion and Olympic gold medallist Taylor [11-0, 5KOs], was victorious three times against her 38-year-old Finnish opponent in the amateur ranks yet Wahlstrom [22-0-1, 3KOs] is set to be Taylor’s toughest professional assignment to date since turning pro two years ago. The undefeated Wahlstrom steps up to lightweight to clash with 32-year-old Taylor and is aiming to become a two-weight world champion. She also accepts the fight on short notice having originally been scheduled to fight in Russia this month only for her opponent to pull out through injury. “Eva is someone I know very well from our time in the amateurs,” said the Connecticut based Taylor. “I was actually drawn against her in my very first international competition back in 2004 and it seemed like every time I turned up to a major competition after that she was in the draw! The fight marks Taylor’s 12th professional bout, her third bout in New York but her first at Madison Square Garden. I’ve been lucky enough to fight in some iconic venues since turning pro two years ago but I’m not sure there’s any more iconic in a boxing sense than Madison Square Garden. I think every fighter dreams about stepping in the ring there and I’m no different. Meanwhile, Wahlstrom believes the fight it will be the toughest of her career. “I have stated for a long time that I am ready and I want to engage in the toughest fights available,” she said. “This is by far the toughest fight of her career so far and hugely important moving into 2019.